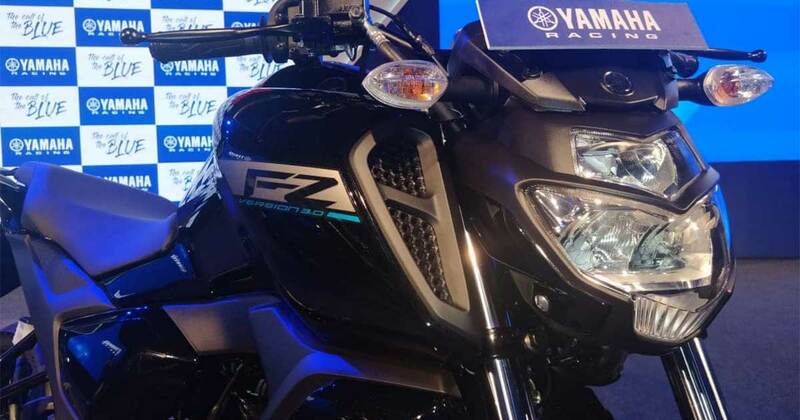 2019 Yamaha FZ Version 3.0 along with its updated FZ-S variant has finally hit the Indian two-wheeler industry for which the Yamaha lovers were waiting eagerly. The bike which has already marked its presence at the dealerships is now available to purchase at the asking price of INR 95,000 . While the FZ-S variant of the third generation model attracts pricing of INR 97,000. Both the prices are ex-showroom, Delhi prices. The new bike carries a premium of around INR 10,000-15,000 over the previous version 2.0 model that is acceptable for significant changes made on its styling and mandatory single-channel ABS feature to comply with the new safety norms. Other than this, the underpinned powertrain also witnessed a host of refinements and adjustment for generating an improved power output. Aesthetically, the new bike is heavily inspired by the elder sibling in the existing lineup the Yamaha FZ 25 as observed while the motorbike’s spied events back in October 2018. 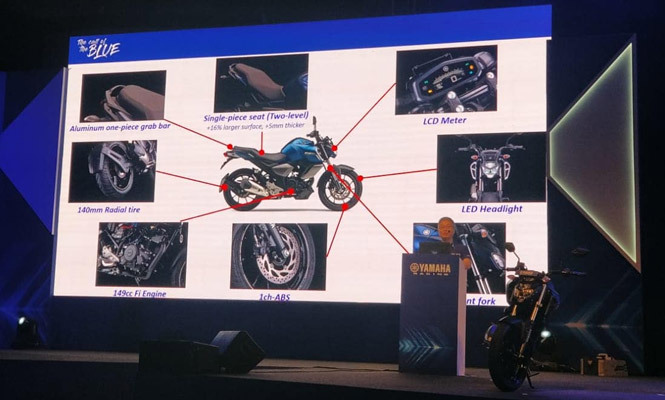 At the fascia, it furnishes a split LED headlamp setup as seen on the Yamaha M-Slaz whereas the turn indicators are identical to the regular version. In addition to this, the fuel tank is now a chiseled, muscular unit with tank shrouds borrowed from the FZ25 and the instrument cluster is an all digital unit. Further, the rear section is continued to retain the silhouette of the earlier model with a new stubbier exhaust unit. The seating has been revised along with grab rail as a single piece bit. Mechanically, the new Yamaha FZ V3.0 ABS is powered by a 149cc, single-cylinder, air-cooled, FI engine that is being said to return an improved power of 13.2PS along with a peak torque of 12.8Nm. This refined engine now supplies a better power delivery to the rear wheel via a mated 5-speed gearbox transmission throughout the rev range. Based on the carried forward diamond frame, the new Yamaha FZ S V3.0 is a perfect blend of comfortable ride and agile handling with underpinnings such as telescopic forks and a monoshock among suspension setup. The braking now has touched the next level with the inclusion of going to be a mandatory safety feature, ABS. However, the equipped attribute is a single-channel ABS albeit the already emergence of rear disc variant last year meant a lot for such premium commuter. This revised Yamaha FZ V3.0 will now go in competition with the rivals like the Bajaj Pulsar NS 160, TVS Apache RTR 160 4V, Honda CB Hornet 160R and the Suzuki Gixxer.